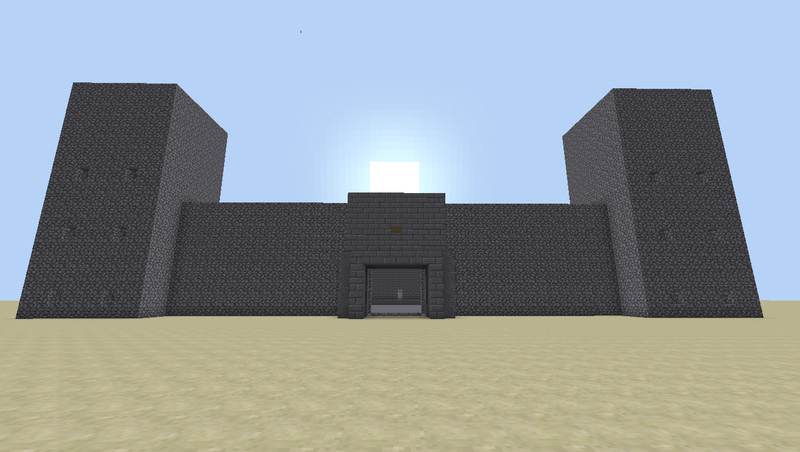 Like many, I have developed a strong liking for castle-building. Not the showcase castles, but rather those that can be used in every-day play. Of recent, however, I have also become attracted to command block technology and so now I have combined the two. 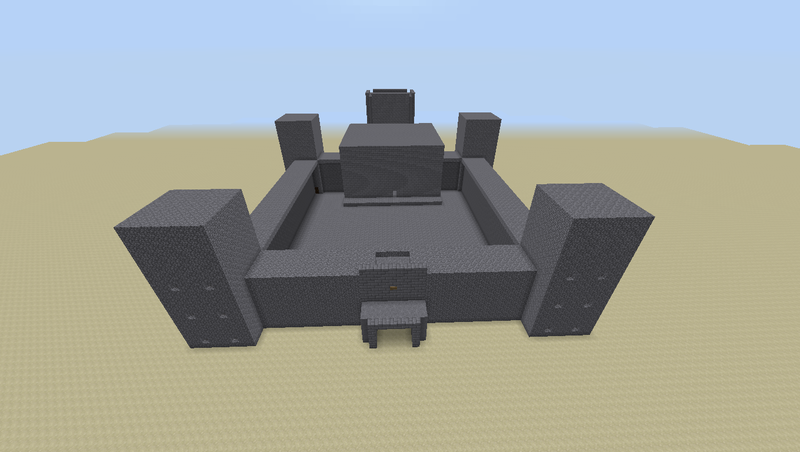 When placed into an "Impulse" command block and activated by redstone (I usually place a block of redstone to the immediate right of the command block), a sizable castle shall be created. Some of its features you may enjoy are its high walls, large courtyard, hollow walls, towers with floors and windows, and a large main building and rear tower. 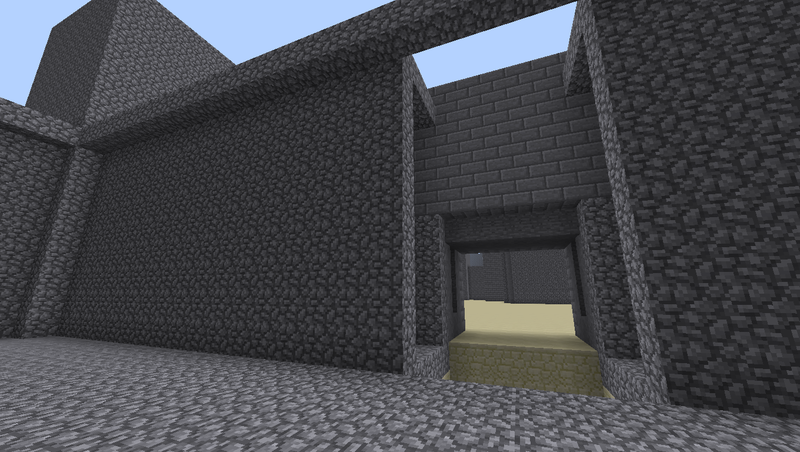 However, I did one more thing that I feel sure you will like: a customized space at its entrance for a portcullis gate. This means that you don't have to tear something apart in order to build a nice 2-high, 3-high, or even 4-high Pegasus portcullis gate, and there is lots of room and opportunity for your own customization. 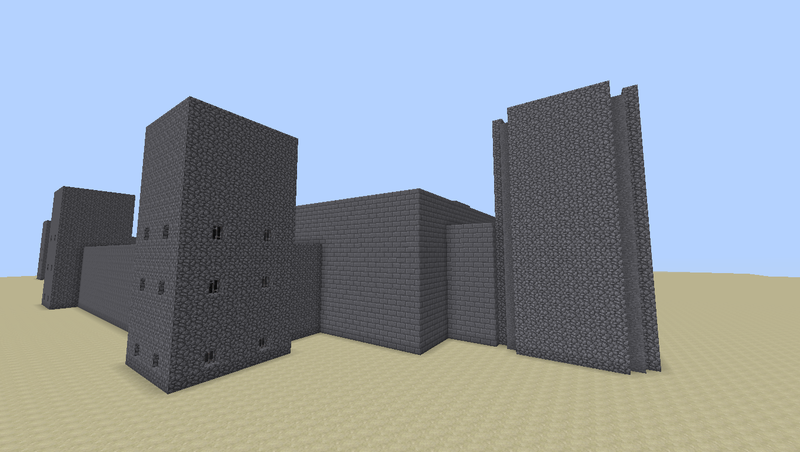 Placing a redstone block directly to the right of the castle command block, this "clean-up" command block should be plced two blocks the right of the redstone block. Initiating it with redstone will remove the 200+ combination of redstone and command blocks created, leaving you just one command block to remove.